Reading Avon-by-the-Sea instantly brought to mind my hometown. I am from Hamburg, NY a suburb a few miles to the south of Buffalo. 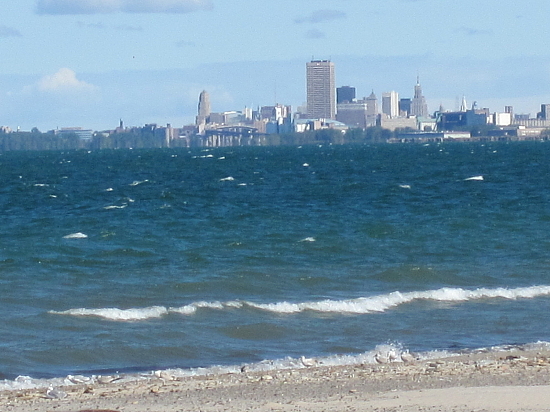 The western portion of the town is on Lake Erie. Hamburg’s Coastline is a mix of small beaches and cliffs. One such Beach is the Town of Hamburg Beach. Growing up, I always knew that you needed a “sticker” to go to the beach. As I grew older, I learned that “sticker” meant, a permit from the Town. To get a yearly permit you pay a small fee and show proof that you are a town resident – usually a drivers license or your utility bill. The permit gets slapped on the bumper of your car and you are allowed to park at the beach. From my understanding the Town Beach and its facilities, lifeguards, snack shop, and fitness center, were ONLY for Town residents. I may be wrong about this, but its my understanding. The Town of Hamburg Beach link states that the land was donated to the town “for its citizens recreational use.” So it appears a restrictive covenant allows or forces Hamburg to restrict who uses the beach. Interesting, so this government entity can discriminate?